If only that were true and their time really going to expire when the hourglass ran out. Unfortunately, that’s only the when her show starts and then another tool in the fight is put into action. The left has the entire propaganda CFR media structure, Loesch has her program, her intellect, her knowledge and the fact that she’s right on her side. They’re in trouble. If we only had “conservatives” in the uni-party who would speak with the same definitive tones. i LOVE THIS LADY, she the BEST OF THE BEST IN WOMANHOOD. and those COMMUNIST ELITES HAVE NO CLUE OF WHAT’S ABOUT TO BEFALL ALL OF THEM. AND THIS CAN ONLY END BAD FOR THEM. 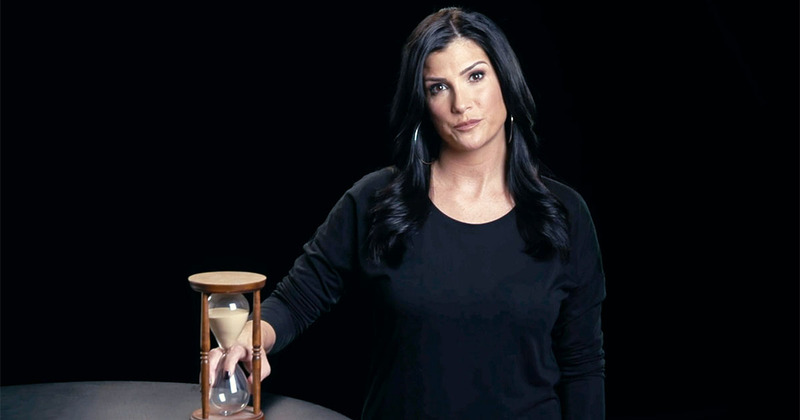 Dana is going to be a super-star in the conservative universe.